Cirsium horridulum.© Copyright Bobby Hattaway 2011.www.discoverlife.org (Accessed 11/2014). 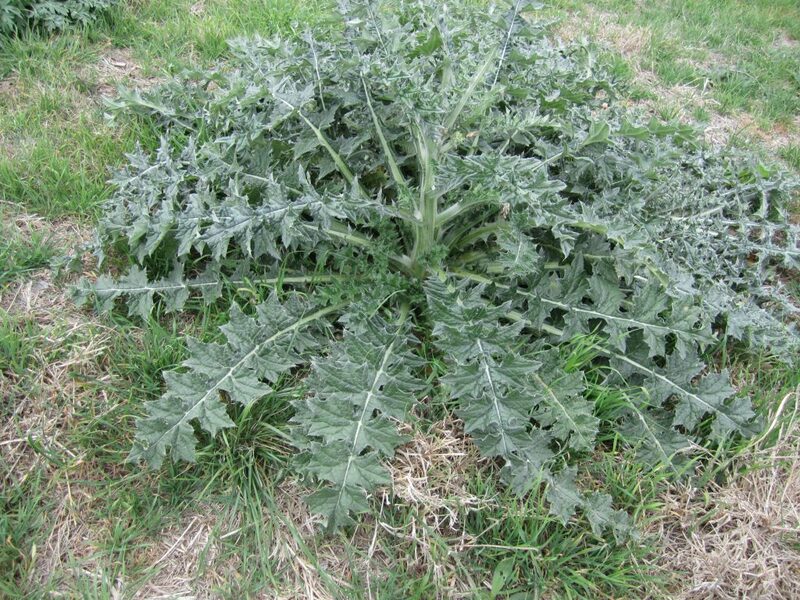 Cirsium horridulum is a biennial herb, 0.2-1.5 m tall, stems stout, webby-hairy when young, often unbranched. 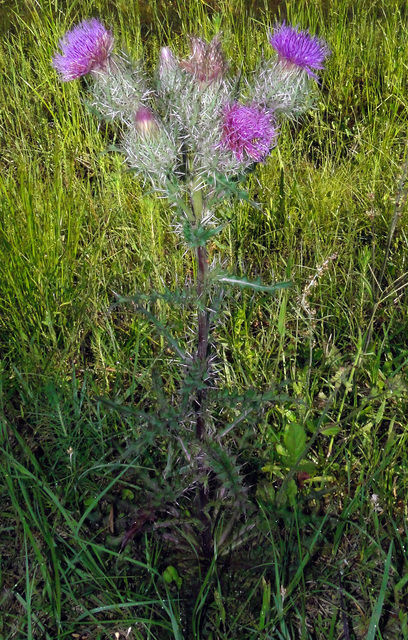 Cirsium horridulum. young plant from rosette. Amy. Wild Edible Texas. wildedibletexas.files.wordpress.com (Accessed 1/2018). Leaves alternate, very spiny, pinnately divided, margin very spiny, usually broad, base clasping stem, first year rosette leaves hairy above, wooly-hairy below. 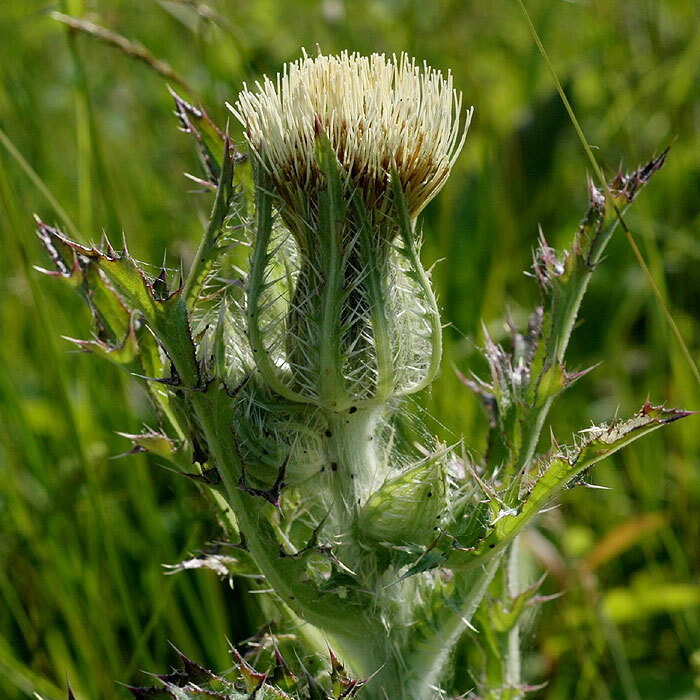 Cirsium horridulum flower head. David G. Smith. Delaware Wildflowers.delawarewildflowers.org. discoverlife.org (Accessed 1/2018). Flowers pale yellowish or purple, all tubular, base of flower head 3-5 cm long, outer bracts pinnate-spiny and spine-tipped; blooms May-Aug.
Fruit dry 1-seeded achene 0.4-0.6 cm. Habitat: Open habitats, often sandy soil, along brackish or freshwater marshes or creeks. 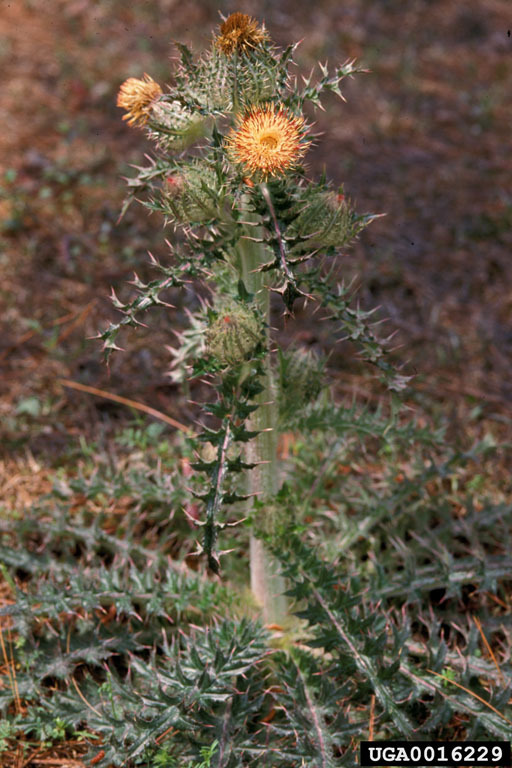 Cirsium horridulum.James H. Miller.USDA Forest Service.forestryimages.org (Accessed 2/2015). Notes: Attractive to many insects as larval or adult food or as pollinators (Gann et al. 2007).